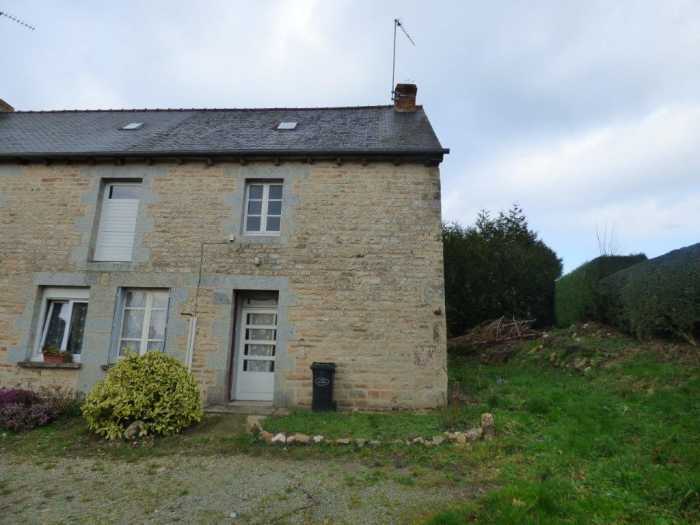 Properties for sale in Brittany, France - AHIB-1-ID2116 Merdrignac 22230 Semi-detached house with 476m2 garden (needs marking out by géomètre. Ground floor: kitchen, sitting room with fireplace, bedrooms, bathroom, WC, storeroom. Loft for potential conversion above. Built of stone and mud. Wooden single glazed windows. Electric heating. de négociation et 5000 euros de frais d'acte. Soit un total de 54 000euros.